Evie Shockley is the author of two books of poetry, the new black (Wesleyan UP, 2011) and a half-red sea (Carolina Wren Press, 2006), and two chapbooks, 31 words * prose poems (Belladonna* Books, 2007) and The Gorgon Goddess (Carolina Wren Press, 2001). the new black won the 2012 Hurston/Wright Legacy Award in Poetry and was also recognized by Library Journal as one of the Best Books of 2011 in Poetry and by the BCALA as a 2012 Honor Book in Poetry. Her poems have appeared as well in numerous journals and anthologies, including The Nation, TriQuarterly Online, qarrtsiluni, Brilliant Corners, Mandorla, Black Nature: Four Centuries of African American Nature Poetry, Home is Where: An Anthology of African American Poets from the Carolinas, and New America. Her honors additionally include the 2012 Holmes National Poetry Prize, a Leo Maitland Fellowship from the Millay Colony for the Arts in 2011, and residencies from Hedgebrook and MacDowell. From 2007-2011, she co-edited jubilat; in 2007, she guest-edited a special issue of MiPOesias (called “~QUEST~”) that features contemporary African American poets. Shockley currently serves as creative editor on the Feminist Studies editorial collective and as a contributing or advisory editor to Evening Will Come, a monthly journal of poetics; Lemon Hound; Backbone Press; Carolina Wren Press; and At Length. She greatly enjoys giving readings of her poetry, which have taken her to colleges, universities, museums, primary and secondary schools, libraries, festivals, and bookstores across the U.S., as well as locations in the UK. Two of her poems, “a thousand words” and “the changing of the guards,” were mounted in the Biko 30/30 exhibit, a commemoration of the life and work of anti-apartheid activist Steven Biko, which toured the major cities of South Africa in 2007, the 30th anniversary of his death. She has served as faculty for such programs as the Squaw Valley Community of Writers Poetry Workshop, the Naropa Summer Writing Program, the Cave Canem NYC Workshop, the AROHO (A Room Of Her Own Foundation) Writers’ Retreat, and the North Carolina Writers’ Network Summer Residency Program. Shockley (B.A., English, Northwestern Univ. ; J.D., Univ. of Michigan Law School; M.A. and Ph.D., English, Duke Univ.) is also a literary scholar and critic. Her critical book, Renegade Poetics: Black Aesthetics and Formal Innovation in African American Poetry (U of Iowa P, 2011) has been supported by fellowships from the American Council of Learned Societies (ACLS) and the Schomburg Center for Research in Black Culture. 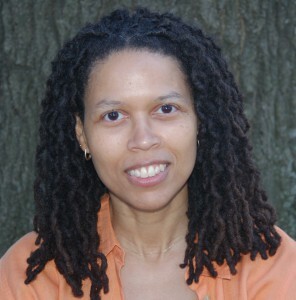 She has critical reviews and literary essays published or forthcoming in such journals and anthologies as Callaloo, Contemporary Literature, Indiana Review, Contemporary African American Literature: The Living Canon, Mixed Blood, Rainbow Darkness: An Anthology of African American Poetry, Poets on Teaching: A Sourcebook, and A Broken Thing: Contemporary Poets on the Line. Additionally, articles from her earlier work on the gothic in African American and British Victorian literature appear in African American Review and in the essay collection Jamaica Kincaid’s Caribbean Double-Crossings. She brings her theory of the “gothic homelessness” that circulates in African American literature to the broader cultural context of Hurricane Katrina and its aftermath in an essay that appears in Katrina’s Imprint: Race and Vulnerability in America, an interdisciplinary collection of analyses of Katrina’s significance for New Orleans, the Gulf Coast, and the U.S. as a whole. Born and raised in Nashville, Tennessee, Shockley has lived in a variety of states in the South, Midwest, and Northeast, but has yet to take up residence in any place west of the Mississippi River. She currently lives in Jersey City, New Jersey and teaches African American literature and creative writing at Rutgers University-New Brunswick.